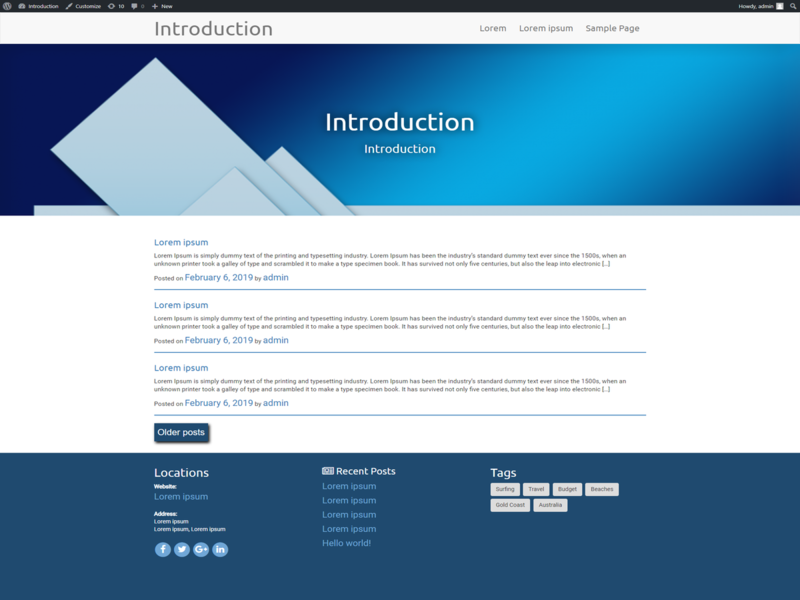 Introduction theme that allows you to create blogs and websites.The theme is well designed and does not require any other hard work to get it up and running right away. All the hard work has been done in this theme, it is clean and efficient.Theme features using the built-in WordPress Customizer, Custom Header, Custom Backgrounds, Social Media icons and much more!. User can easily add social icons through widget.